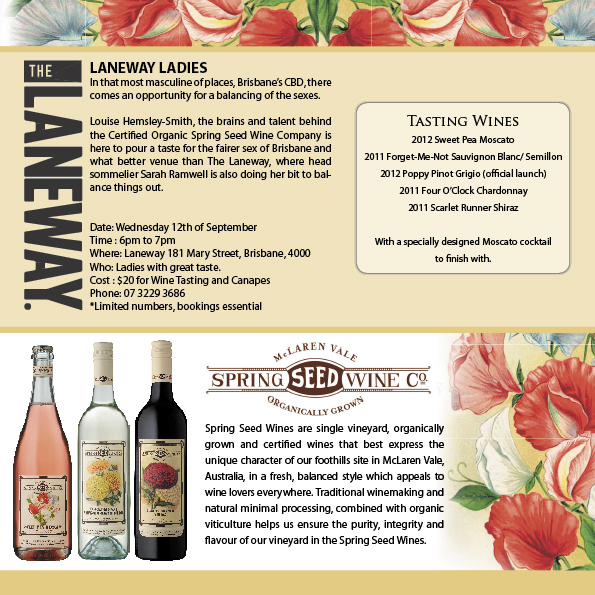 Come and taste the Spring Seed Wines (including the new 2012 Spring Seed ‘Poppy’ Pinot Grigio) with Louise, and Sommelier Sarah Ramwell at ‘The Laneway’ 181 Mary Street Brisbane from 6-7pm. The price includes canapes and a Moscato cocktail. 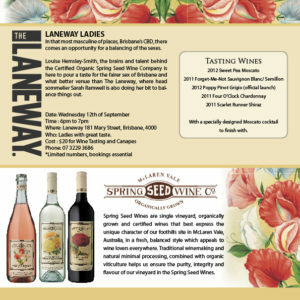 Bookings can be made by calling Laneway on 07 3329 3686. Look forward to seeing you there.